The Indian Space Research Organisation (ISRO) achieved another milestone as it successfully launched the Geo-synchronous Satellite Launch Vehicle (GSLV-D5) from the Satish Dhawan Space Centre at Sriharikota in Andhra Pradesh. GSLV launch is a great achievement as it used indigenous developed cryogenic engine. Let’s discuss in this post certain keywords related to Space Technology and ISRO like GSLV D5, Cryogenic Engine, GSAT-14 etc. For beginners : Rocket and Satellite are two different entities. Rocket or launch vehicle is the vehicle used to launch satellites. In other words, launch vehicle will have a rocket engine in it and this rocket engine is fired to lauch the satellites into the orbit. Examples of launch vehicles include PSLV, GSLV etc. 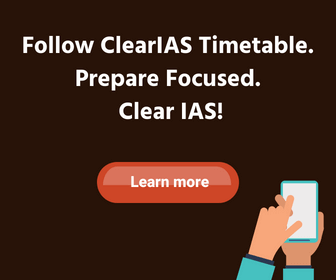 Examples of satellites include GSAT, INSAT, IRS etc. GSLV D5: GSLV D5 is a rocket (lauch vehicle) used to launch the satellite GSAT 14. The rocket engine used in this launch vehicle was a cryogenic one, which uses cryogenic propellants at low temperature. 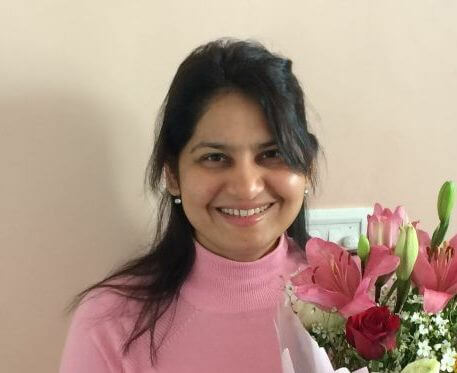 What’s special about GSLV D5 launch? India already had successfully launched many satellites using launch vehicles in the PSLV and GSLV series. But this was for the first time, India successfully launched a satellite using its indigenous developed cryogenic engine. In the previous missions of GSLV, we were using Russian Technology for cryogenic engines. But now, we have mastered cryogenic technology and have emerged as a major space power. GSLV is a three-stage launch vehicle with solid, liquid and cryogenic stages. It is designed to inject 2 Ton class of communication satellites to Geosynchronous Transfer Orbit (GTO). GSLV-D5 vehicle is configured with its first and second stages similar to the ones flown during earlier GSLV missions. The third stage is the indigenous cryogenic stage. 1 Stage (Strap- Ones) : UH25 & N2O4. 1 Stage (Core Stage) : HTPB. 2 Stage : UH25 & N2O4. 3 Stage : LH2 & LOX. HTPB : Hydroxyl Terminated Poly Butadiene, LH2: Liquid Hydrogen, LOX : Liquid Oxygen. N2O4 : Nitrogen Tetroxide, UH25 : Unsymmetrical Dimethyl Hydrazine + 25% Hydrazine Hydrate. Cryogenic propellants used in this mission: liquid oxygen at minus 183 degrees Celsius and liquid hydrogen at minus 253 degrees’ Celsius. India’s indigenous cryogenic engine is named CE-7.5. This cryogenic rocket engine is used to power the upper stage of GSLV. The engine was developed as a part of the Cryogenic Upper Stage Project (CUSP). It will replace the KVD-1 (RD-56) currently powering the upper stage of GSLV. Advantages: Cryogenic rocket stage is more efficient and provides more thrust for every kilogram of propellant it burns compared to solid and earth-storable liquid propellant rocket stages. Specific impulse (a measure of the efficiency) achievable with cryogenic propellants (liquid Hydrogen and liquid Oxygen) is much higher compared to earth storable liquid and solid propellants, giving it a substantial payload advantage. However, cryogenic stage is technically a very complex system compared to solid or earth-storable liquid propellant stages due to its use of propellants at extremely low temperatures and the associated thermal and structural problems. The main variants are GSLV Mk.I and GSLV Mk.II. GSLV Mk.II variant uses an Indian cryogenic engine, the CE-7.5, and is capable of launching 2500 kg into geostationary transfer orbit. Previous GSLV vehicles (GSLV Mk.I) have used Russian cryogenic engines. GSLV Mk.I had three sub-variants like GSLV Mk.I (a), GSLV Mk.I (b) and GSLV Mk.I (c). GSAT-14 is a 1,982-kg communication satellite. 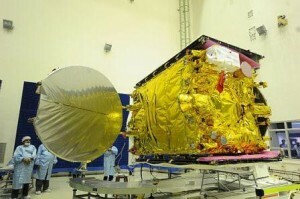 GSAT-14 is expected to replace the GSAT-3 satellite, which was launched in 2004. 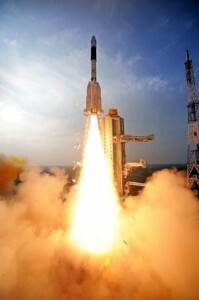 GSAT-14 was launched by a Geosynchronous Satellite Launch Vehicle Mk.II (GSLV D5), which incorporated an Indian-built cryogenic engine on the third stage. After reaching Geosynchronous Transfer Orbit (GTO), GSAT-14 will use its own propulsion system to reach its geostationary orbital home and will be stationed at 74º East longitude. GSAT-14 will help provide many satellite based communication services to the country including tele-education and telemedicine. The satellite carries six Ku-band and six Extended C-band transponders to provide coverage of the whole of India. GSAT-14 also carries two Ka-bandbeacons which will be used to conduct research into how weather affects Ka-band satellite communications. The satellite is powered by two solar arrays, generating 2,600 watts of power. India had in the last two decades 25 consecutive successes of its Polar Satellite Launch Vehicles (PSLVs). GSLV could not claim such a success rate. GSLV has attempted eight launches to date, since its first launch in 2001 through its most recent launch in 2014. Three launches have been successful, four have failed, and one was a partial failure, placing the satellite into an unplanned, but recoverable, orbit. While PSLV can carry satellites up to 2 tonnes to a lowearth orbit, GSLV was needed for the launch of heavier satellites, especially of the telecommunication variety that need to be put in a 36,000km geosynchronous orbit. Perigee is the point nearest to earth while Apogee is the farthest point from earth. 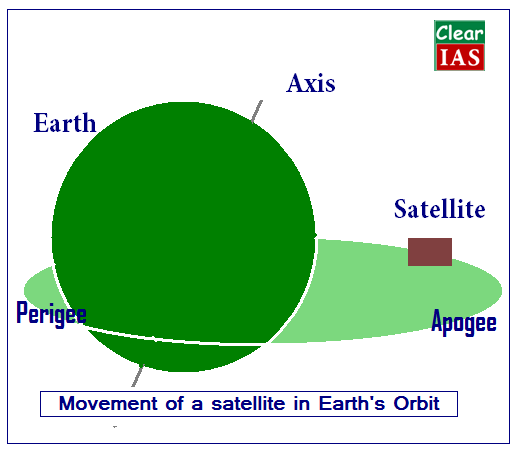 After a flight of 17 minutes 5 seconds, GSAT-14 satellite was precisely injected into a Geosynchronous Transfer Orbit with a Perigee (nearest point to Earth) of 175 km and an Apogee (farthest point to Earth) of 35,945 km with an orbital inclination of 19.3 degree with respect to the equator. Qn 1 : Which among the following statements are true regarding India’s space technology? GSAT and PSLV are the main rocket launching vehicles of India. Satellite launching center of India is at Wheeler Islands, Odisha. India’s indigenous cryogenic engine is named Cryo 2014. B: 2 and 3 only. C : All the above. Qn 2 : Which among the following statements are true? Perigee of a satellite corresponds to the farthest point from earth in its orbit. India’s indigenous cryogenic engine used for GSAT 14 launch, used liquid Hydrogen and Oxygen in its cryogenic stage. GSLV D5 had 4 stages. GSAT 14 carried Ku band transponders as well as C band transponders. C: 2, 3 and 5 only. D: 1, 3 and 5 only. I liked the article. Everything has been explained in a clear & concise manner. I liked the idea of introducing questions at the end, however, it may be even more benefitting if the answers are also provided at the same page. Just a minor suggestion. Really good work though. Very good article.Pictorial representations give us a clear idea about the concepts.Good work.Surely your article will help all civil service aspirants.Thank you!!! !